Welcome to the CORA Sports Medicine Tips page! This is an educational forum that will include helpful information in regards to sand volleyball athletes' well-being and performance. Topics covered include (but are not limited to): hydration, flexibility, warm ups, core strength, overuse injuries, concussions and much more. Click on the image to your right or on the link below to view the CORA Rehabilitation & Sports Medicine flyer and get a coupon for a FREE CORA injury assessment! Hey volleyball fans! 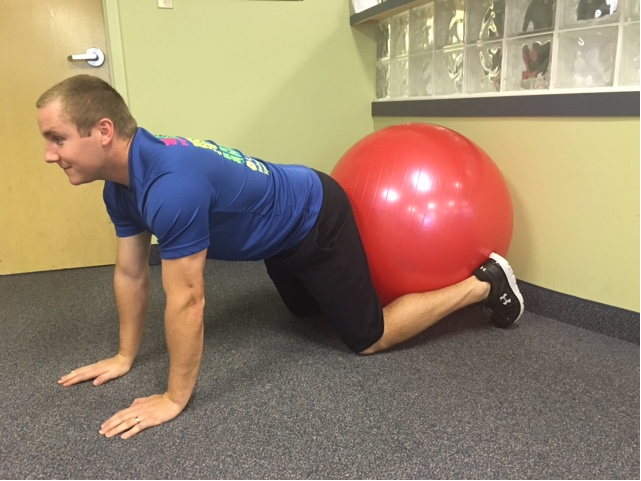 Here is part 2 of our series featuring exercises that correct common volleyball movement dysfunctions. 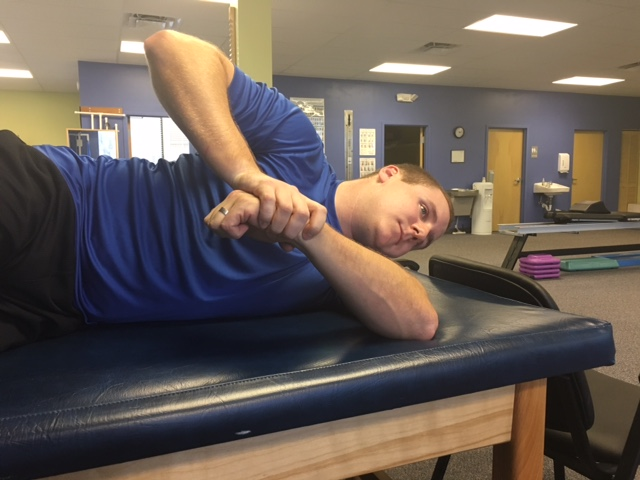 These include: shoulder stability, rotational trunk stability, rotational upper back (thoracic) mobility, hamstring flexibility, shoulder posterior capsular tightness and shoulder blade (scapula) stability. As we discussed in the last tip, a Functional Movement Screen attempts to pin point weak links and alleviate them. 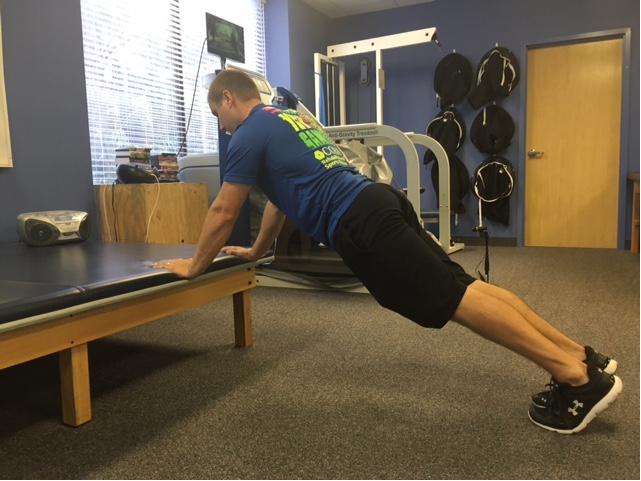 This system is a process that identifies the weak link in the movement pattern and then assigns exercises to correct it. 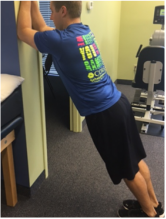 E-mail digcora@corahealth.com to schedule your Functional Movement Screen. Keeping Athletes in the game…See you on the beach!!!! Begin on your hands and knees – hands under shoulders and knees under hips. 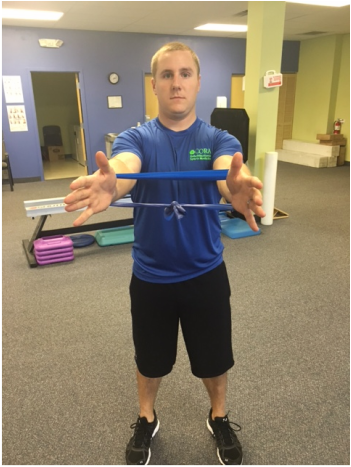 Arm lift to side – place the band under your right hand (to hold it to ground) and grasp the band with the left hand. Raise left arm out to side with your thumb up using your shoulder blade muscles. Make sure your shoulder blade doesn’t “hike” towards your ear. 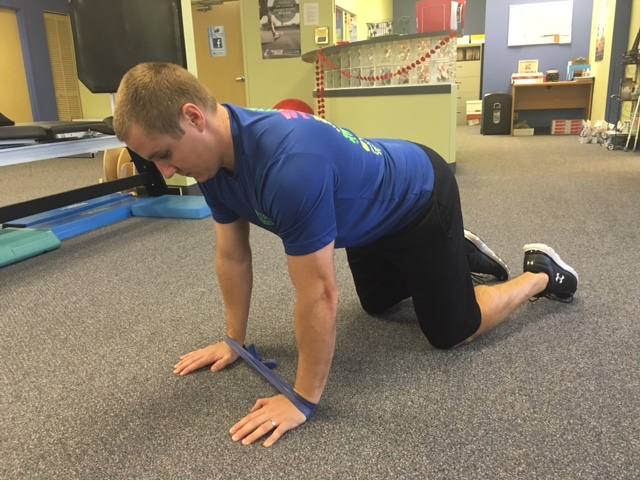 Arm lift diagonal – place the band under your right knee (to hold it to ground) and grasp the band with the left hand. Raise left arm midway between shoulder and head using your shoulder blade muscles. Make sure your shoulder blade doesn’t “hike” towards your ear by “packing” it towards your hip pocket. 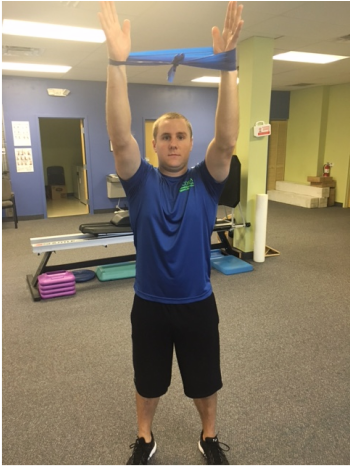 Arm lift overhead - place the band under your left knee (to hold it to ground) and grasp the band with the left hand. Raise left arm above your head using your shoulder blade muscles. Make sure your shoulder blade doesn’t “hike” towards your ear by “packing” it towards your hip pocket. Stand about 2 feet from a wall with your legs shoulder width apart and lean on the wall with your forearms. Find neutral spine, brace and maintain a relaxed breathing pattern. Lift your right arm / leg (alternate) and hold for 10 seconds. Repeat 15 times on each side. To increase difficulty lift opposite arm and leg simultaneously. Next progression would be lift arm and leg on same side without losing stability. Lay on your back with arms out to your side at shoulder level. Roll to your right until you are directly on your right shoulder. Bend your right elbow to 90 degrees and then gently push your palm towards the ground with your left hand until you feel a gentle stretch. Hold for 30 seconds and repeat 10 times. Place the band around your wrists. While we are trying to survive the first cold snaps in the state of Florida, some athletes have already played their first beach tournament of the 2016 season. It seems more and more of today’s athletes are working harder to become stronger and healthier. Volleyball players are consistently working to improve their activities by increasing their flexibility, strength, endurance and power. A tremendous amount of athletes are performing high level activities even though they are inefficient in their fundamental movements. 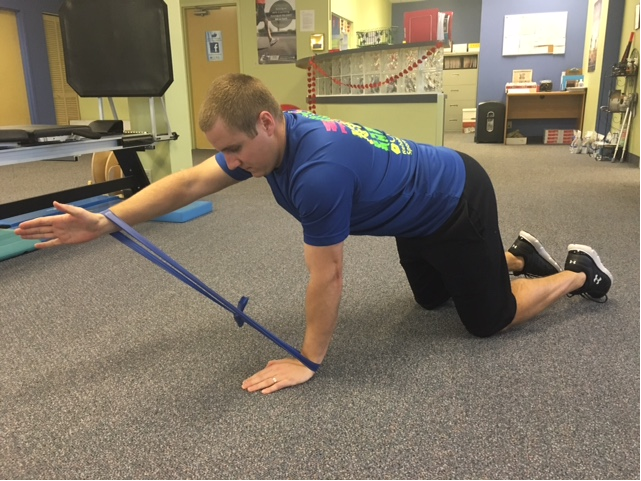 A Functional Movement Screen attempts to pin point weak links and alleviate them. 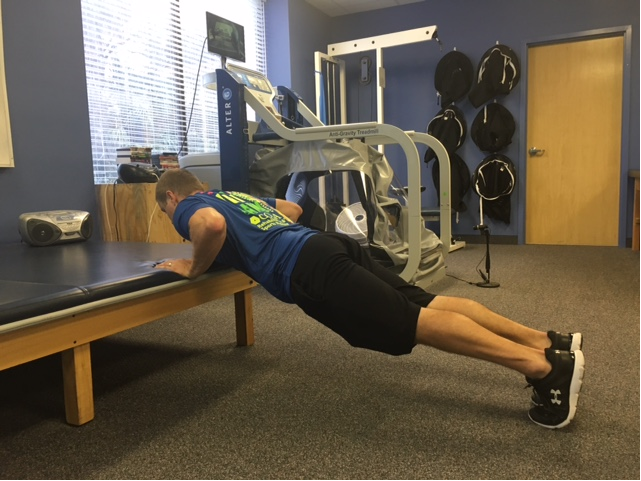 This system is a process that identifies the weak link in the movement pattern and then assigns exercises to correct it. 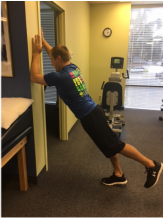 E-mail digcora@corahealth.com to schedule your Functional Movement Screen. 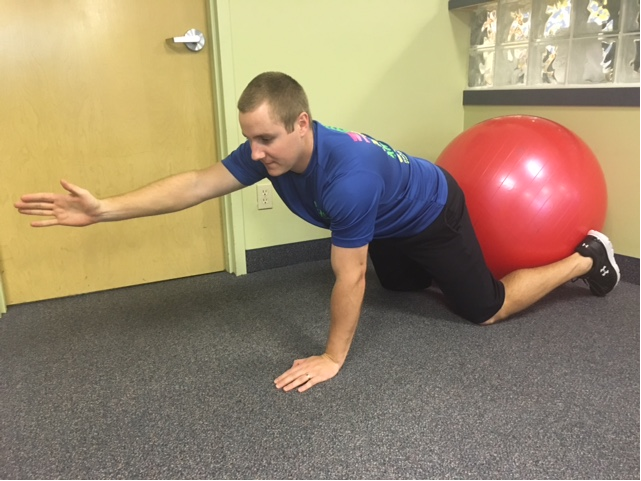 The following listed exercises have been identified by our CORA Sports Medicine team as the most effective exercises to correct common volleyball movement dysfunctions: shoulder stability, rotational trunk stability, rotational upper back (thoracic) mobility, hamstring flexibility, shoulder posterior capsular tightness and shoulder blade (scapula) stability. We are introducing 4 exercises this month. Your program will be complete in the next Cora Sports Medicine Tip. -Place hands shoulder width apart on a stable surface (desk, bed or counter) with knees off floor and up on toes. -The goal is for the heel to end up on the floor with pelvic alignment. Gradually build up to this with time. -Bend the elbow so that the hand and thumb slide up the back. ​To begin, CORA Rehabilitation & Sports Medicine would like to extend our best wishes to all of you. It has been an exciting year for CORA and the Florida Region of USAV: We covered beach volleyball tournaments across the state of Florida, treated a lot of athletes and talked to several parents in regards to injury prevention and treatments. We are confident that we made a positive contribution to keep our volleyball athletes in the game. We only have a couple months off to recharge our batteries and prepare for another great beach volleyball season. The off season is the perfect time to work on strengthening, speed, agility, flexibility and endurance. Cross training can be used to allow active recovery, while preserving some base level of recovery. A good off season work out program will address any imbalances developed secondary to repetitive movement patterns and transitions (serving/attack/ blocking/defense). It is important to maintain an aerobic fitness with light cardiovascular workouts. If during season you like to run, try to add swimming (great transfer to volleyball core stability), or vice versa. Although runners and volleyball players recruit different muscle groups, they develop similar muscular imbalances. Inadequate lumbopelvic , or “core stability”, is one of the main contributors to acute and overuse injuries in volleyball players. When a beach volleyball player is unable to engage their core when playing, the extremities will over compensate and accumulate a higher stress load. This can result in acute injuries (strains and sprains) or overuse injuries (tendinopathies). The following educational video was launched on our CORA Rehabilitation YouTube Channel. This video is a great work out that will teach you how to engage and activate your core muscles. Proper breathing techniques, transitional movements and an exercise progression is shown in the video above. You can perform these exercises every other day. Maintaining good form and stability are keys to progress. If you have any questions or concerns please email us at digcora@corahealth.com. We will see you in 2016. Please check out our YouTube channel to view additional, fun, beach volleyball work outs! Your CORA Health Team at the 2015 NORCECA Continental Beach Volleyball Tour stop at Hickory Point Beach! Playing competitive beach volleyball in the Florida humidity and heat can be exhausting. Proper hydration and avoiding heat exhaustion are extremely important to keep you in the game. Some beverages are better than others at preventing dehydration. Water is all you need if you are planning to be active in a low or moderate intensity activity, such as walking, for only an hour or less. If you plan to be exercising longer than that, or if you anticipate being out in the sun for more than a few hours, you may want to hydrate with some kind of sports drink. These replace not only fluid, but also chemicals like sodium and potassium, which are lost through perspiration. Too much or too little sodium and potassium in the body can cause trouble. Muscle cramping may be due to a deficiency of electrolytes, such as sodium and potassium. Good additional sources of potassium and/or sodium are bananas, pickles, mustard and soy sauce. As always, feel free to contact us with any questions and schedule your free shoulder evaluation at any CORA clinic by emailing us at digcora@corahealth.com. Sand training is very forgiving on your joints, in general. 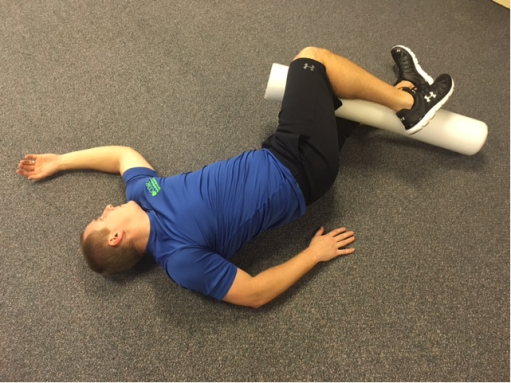 A steady giveaway on impact limits compressive forces on your ankles, knees and hips. In addition, an exaggerated foot drive in the sand results in an increased hamstring activation. This, in particular, can help the quad dominant players to improve their structural balance. Working on agility and speed in the sand is an excellent way to strengthen the muscles around your ankle joint. The instability of the sand allows greater range of motion in all directions and it will engage your core and the stabilizers of your lower kinetic chain. Although the sand removes any plyometric advantages; jumping in the sand makes your muscles work so much harder to get any height. A vertical jump in the sand recruits so many more muscle fibers than on a hard indoor surface. So when you return back to playing indoor volleyball you regain the plyometric response and you are able to recruit more muscle fibers. Good luck to all players trying out for their High School teams. Beach is serious!!!! 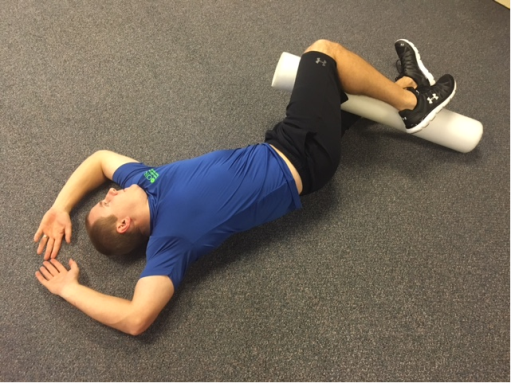 Shoulder Pain in Overhead Athletes: a Common Theme? 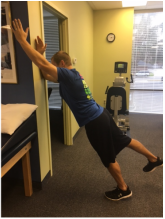 When evaluating shoulder pain in overhead athletes in general and volleyball players in particular, the cause of their shoulder pain is not always easy to determine. Tightness of the posterior shoulder capsule can be noted with a lot of volleyball players with shoulder pain. 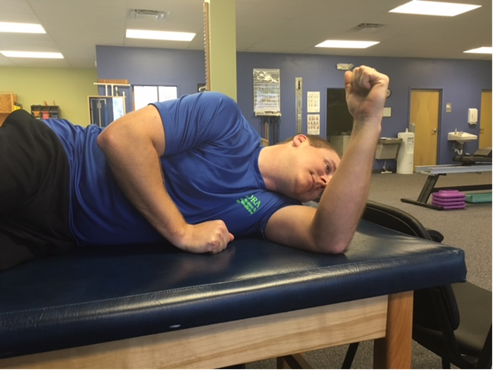 Decreased ability to internally rotate the shoulder (reach behind the back) secondary to pain or stiffness can be a clinical sign of capsule tightness. 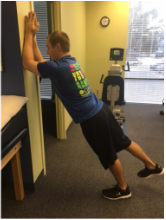 The shoulder stability exercises we are presenting will assist any volleyball player maintaining a healthy shoulder throughout the season. Whatever your level of competitive participation may be, a proper warm up routine should be implemented for injury prevention. In the past, static stretching was the preferred method of pre-activity warm up. Recently, evidence has shown that a dynamic approach reduces injury and enhances performance in sand volleyball specific movement patterns, such as transitional movements and jumping. 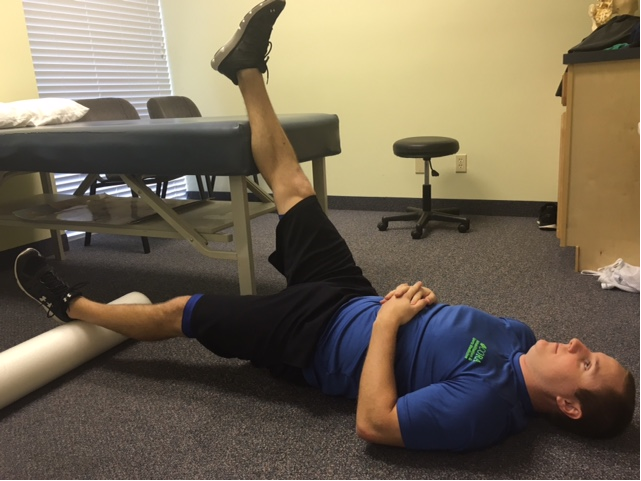 It is important to know that static stretching decreases muscle strength and muscle response time, therefore increasing the risk of injury. 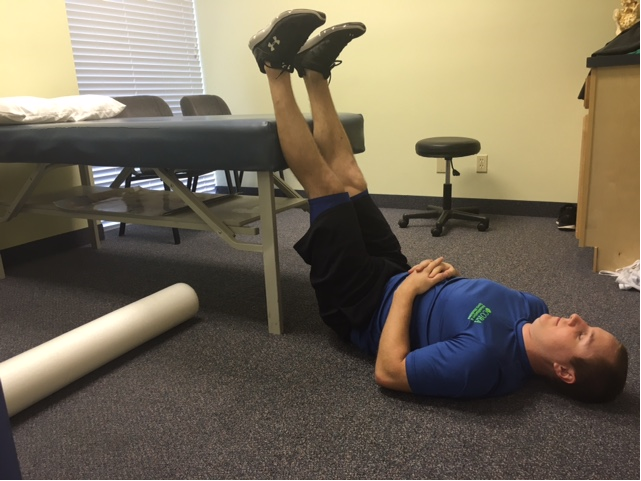 Static stretching should be performed post-activity for recovery and cool down purposes only. As always, feel free to contact us with any questions or concerns at digcora@corahealth.com. Concussions in sand volleyball - are they a myth? You can sustain a concussion even if you do not hit your head. A poor landing after a defensive play can transmit an “impulsive” (acceleration-deceleration) force to the brain and cause a concussion (whiplash effect). Athletes and parents are not always aware that headaches can be caused by an awkward dive earlier in the day. It is important to look for other signs observed by coach/parent: fatigue, difficulties following or calling plays, coordination issues, problems focusing, can’t remember a play/score and answers questions slowly or inaccurately. Symptoms reported by athlete can be: headache, not feeling “right”, feeling like they are “in a fog”, nausea/vomiting, balance problems or dizziness and changes in vision. If you feel that you or your child has any of these symptoms, please stop by the CORA Sports Medicine tent and our licensed and certified athletic trainer will be able to assess the athlete on the sideline and make a solid decision for return to play based on standardized concussion testing. When in doubt, sit them out. FHSAA (Florida High School Athletic Association) requires all athletes to be cleared by MD or DO and the AT18 form (Post head injury/Concussion initial Return to participation) will have to be completed prior to return to full participation. A graded 6 step Return to Play Program under supervision of a healthcare professional will be initiated. If you have any questions or concerns contact us at digcora@corahealth.com. CORA Rehabilitation and Sports Medicine is proud to be named the exclusive partner for the Florida Region of USA Volleyball at Hickory Point Beach. Keeping athletes healthy and in the game is our primary goal. The sand volleyball season is ramping up quickly with more and more juniors participating in this growing NCAA sport. As a parent and as an athlete it is important to know that Hickory Point Beach will have a Licensed Athletic Trainer present at each competitive event. Our Certified Athletic Trainer (ATC) will be present to assist the players with first aid, emergency response, acute injury assessments and treatment, athletic and Kinesio-taping, stretching and soft tissue work. Please take time to stop by our booth at any time if you have any questions or concerns. Feel free to contact CORA with any questions about injury prevention, management or any concerns you might have pre or post tournament. Please e-mail us at digcora@corahealth.com and our Sports Medicine team will be happy to assist you! CORA will create a sports medicine educational forum via the monthly Vol-eNews newsletter to provide you with a sports medicine tip of the month. The Florida Region of USA Volleyball’s website will have a sports medicine tab with helpful information in regards to the volleyball athlete’s well-being and performance. Topics we will cover will include the following (but not limited to): proper hydration during tournaments, dynamic flexibility and proper warm up, importance of shoulder/hip and core strength, management of common overuse injuries and concussions in sand volleyball. If you have any health-related questions for CORA's highly trained staff, please submit them here!